Had around 30mins free this evening to fish. Grabbed my light lure casting set-up (Shimano Sedona 2500, 10lbs JB Braid, 5′ Lemax rod and pins minnow)and headed over to the Carbon spot as the sun began to set. Plan was to be in and out in 30mins and be back before dark. I was followed by a small crowd of fans for the first 20 mins, but they all left as sun was about to set. 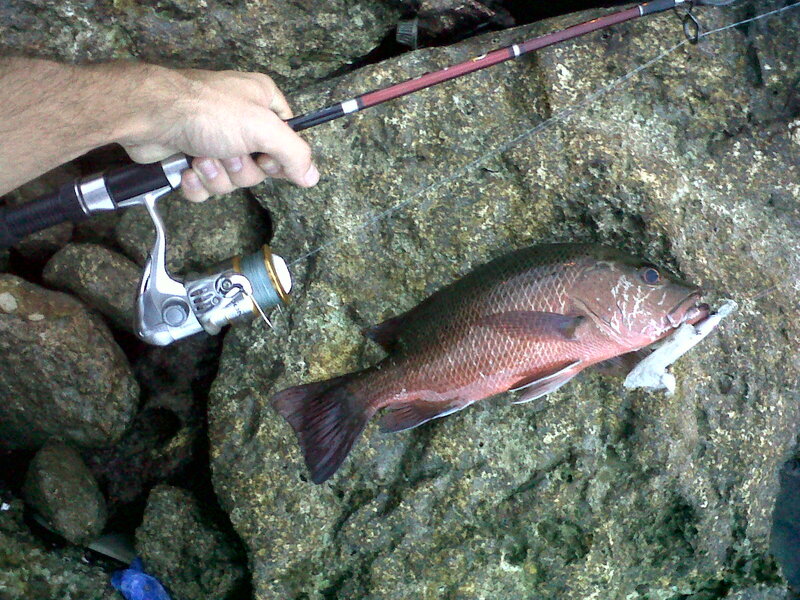 In the 10mins after they left I hooked this nice 1/2kg Mangrove Snapper and missed strikes from two others. This fish was caught at extreme low tide. I was a bit surprised that they would still be biting with the tide way out. Here is another fishing spot here in Cebu 🙂 This pic was taken from the Carbon Spot looking out across the channel. 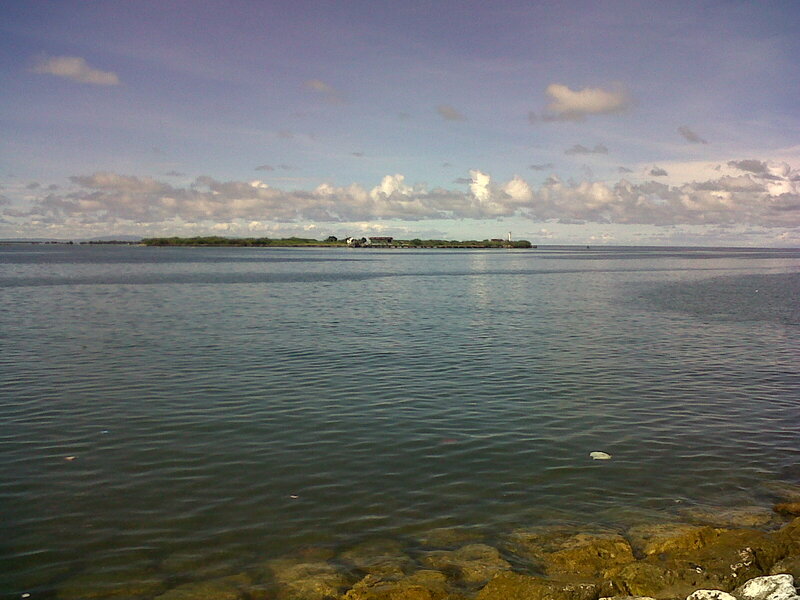 The side of this island that can be seen in this picture has a pier that sits on the edge of the deeper part of this channel. There are many fish to be caught from the pier. The back side of this island faces Cordova and is all tidal flats.